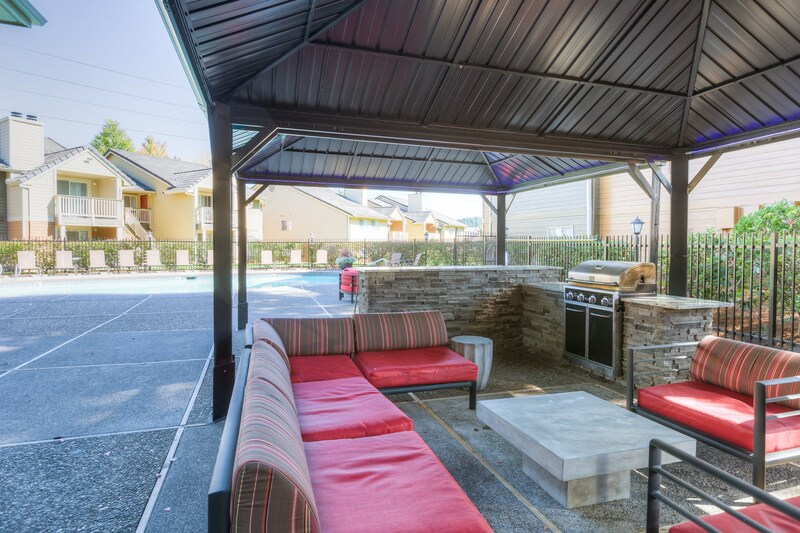 PORTLAND, OR--(Marketwired - October 28, 2016) - Pinnacle, one of the nation's leading multifamily management firms, announced today it has assumed management services for two garden style communities in the Portland metropolitan service area. MonteVista at Murrayhill is located at 14900 SW Scholls Ferry Road in Beaverton's Murrayhill neighborhood and Cedar Crest sits in the heart of the city at 48000 SW Meuller Drive. Both properties benefit from convenient access to major employment hubs, restaurants, shopping and entertainment. "Hunt is very excited about our partnership with Pinnacle to manage these exceptional multifamily assets," said James Dobbie, senior vice president of Hunt Development Group. "Both communities are poised for success with competitive amenities in the peaceful surroundings of Beaverton. Working together, we will continuously improve the onsite experience to meet the needs of residents." Nestled in the Murrayhill neighborhood with breathtaking views and lush surroundings, the 288-unit MonteVista community offers nine unique floorplans with interior upgrades that include a white tile kitchen backsplash, two-tone cabinet faces, Stainless steel appliances and high-end lighting and plumbing packages. Exterior amenities feature an outliving living room with a gas fireplace and BBQ along with a pet washing station. Upcoming renovations will focus on the outdoor living area, fitness center, clubhouse and model. MonteVista is just minutes from Highway 217 and I-5 with quick travel to downtown Portland, Washington Square Mall, and Progress Ridge Shopping Center. The property is also walking distance to cozy coffee shops, unique restaurants with lakeside seating, luxury movie theatres and friendly dog parks. 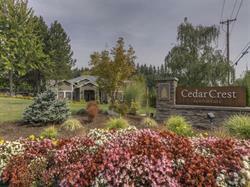 Cedar Crest is a 254-unit community surrounded by acres of green space and wetlands. With the choice of four spacious floorplans, residents enjoy wood burning fireplaces, vaulted ceiling, and quality lighting and plumbing packages. This pet-friendly property is beautifully landscaped with walking paths and pet stations and features the convenience of a business center. Situated just minutes from the famous Beaverton Farmer's Market and City Library, Cedar Crest has easy access to sandy beaches or skiing on Mount Hood via Highway 26 as well as downtown Portland and Cedar Hills Shopping Center. For more information about leasing or to view photos and floorplans, visit the community websites at www.montevistaapts.com or www.livingcedarcrest.com. Pinnacle Property Management Services, LLC, ("Pinnacle") is a privately held national real estate provider specializing in third party management of multifamily residential communities. As one of the nation's preferred third-party managers, Pinnacle's portfolio includes over 165,000 residential units and 2.5 million square feet of commercial assets. With the Corporate headquarters located in Dallas, Texas, Pinnacle has more than 4,000 employees located in 32 states. For more information, visit www.pinnacleliving.com.